If you’ve ever worn Merino wool clothing while on a hunt or outdoor adventure then you probably don’t need to be lectured on the benefits of this natural fiber. However for those of you who don’t know, Merino Wool is derived from the “Merino” species of sheep. These sheep are highly prized because there are many unique characteristics in the wool they produce. I’ve owned a number of Merino Wool products over the years and have always taken at least a Merino mid layer on all of my backpacking trips. I was searching on Google one day looking for Merino Wool products when I typed in “Merino Wool Camo” and found the FirstLite website. I had never heard of them before but they were the first company I’d ever found that was making Merino Wool clothing for hunters in a variety of camoflauge and earthy tone patterns. 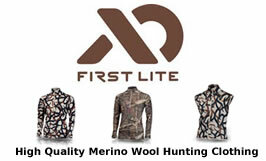 FirstLite is definitely a company that knows and understands the unique benefits Merino Wool has to offer hunters. The desirable characteristics of Merino Wool are explained quite well on the FirstLite Website and I’ve also linked to them below. What Are My Initial Thoughts? Shipping was fast, I think the gear showed up in less than 3 business days. The fit was excellent on all of the items I received (size LARGE for all my items), for your own sizing reference I am 5′ 10″ and 200lbs. 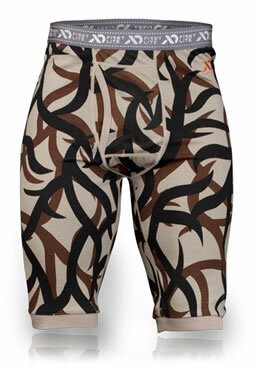 So if you’re bigger than me I think it would be safe to go up a size… First Lite is unique in the marketplace in that they offer their Merino lineup in an ASAT camo pattern, which is kind of cool and works well to break up your outline in a wide variety of terrain. 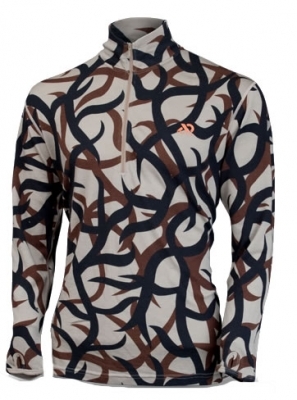 Merino available in camo patterns was definitely “cool” in this hunters eyes. The quality of the clothing is impressive and what I would expect from a hunter making gear for another hunter… The Merino Wool is a much heavier weight than what’s in some of the more athletic brands out there which is a big plus if you’re hunting in a cooler climate such as in the mountains, or during a late fall hunt. The clothing comes in various weights so you can mix and match based on the conditions you might expect in the field. The clothing has much heavier duty stitching than other Merino Wool clothing I’ve used and seems to be manufactured a little more rugged than some of the more “athletic” marketed brands. The zippers are very heavy duty, like what you’d expect to find on a canvas duffel bag, seriously! This adds a little weight to the clothing but I don’t think you’ll ever be able to complain about one breaking, or trying to find one in the early morning light in November Deer season when you have a thick pair of gloves on. First Lite is aggresively priced too, especially for Merino clothing, considering they are heavier weight wool than comparable products in their price range and also they come in 3 different camo patterns. ASAT, Mossy Oak Breakup Infinity & RealTree Advantage Max1. 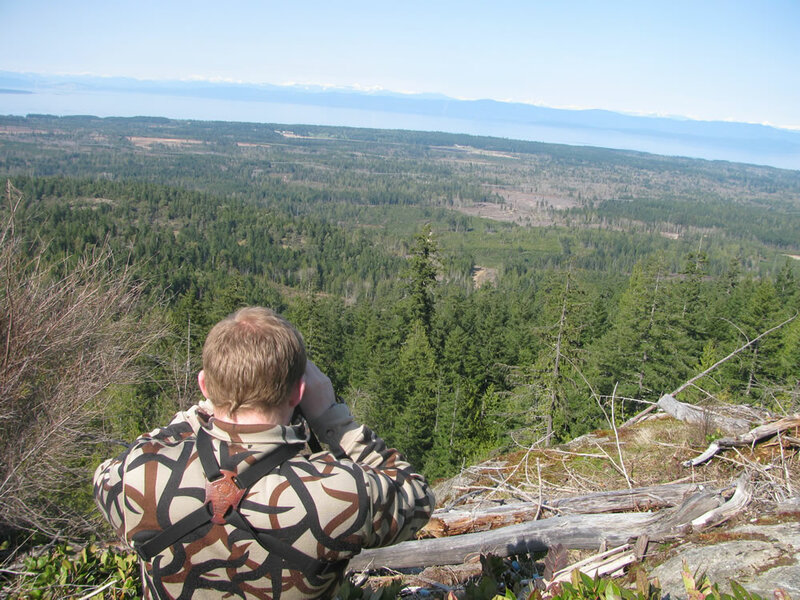 Our spring Black Bear season started April 1st and I’ve been wearing the FirstLite product on my daily outings. I am lucky enough to live not 3 minutes ATV ride from some prime logging slash and Black Bear habitat so I am often out looking for bears from 3pm until dark, depending on the weather. The Red Desert boxers are awesome for a base layer as they are long cut and very comfortable against the skin. The fit is very athletic, which also helps keep your muscles warm. I haven’t done any extreme hiking with them on yet but haven’t noticed any creeping, or seam issues causing chafe. Generally I find if the fit is very athletic (tight) and has great moisture wicking then these issues are much less of a problem. The Chama “mid” base layer is also very comfortable against the skin and has a very generous 1/4 zip on the front to help you regulate heat, not really significant enough to be worn on it’s own the Chama would perform best when used with another heavier layer (or two) such as the Springer Vest and then the Labrador zip up shirt. The Springer Vest is where we start getting into the much heavier weight Merino and you can really feel the difference in thickness between the Springer and the Chama base layer. The vest fit is excellent, it’s got 2 handy hand warming pockets along with a chest pocket to store small items in. 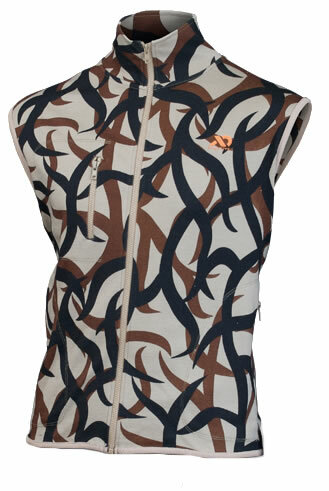 The vest makes a noticeable difference in the warmth of your core and works well as part of the “system”. On top of it all, goes the Labrador full zip shirt. This is the same heavy weight 18.5 micron 400gm Merino that the Springer vest uses and the Labrador really tops off the system nicely. When you zip it up it has an athletic fit and compresses all of the layers nice and tight your body. Using any one piece of the system on it’s own doesn’t seem to offer the same benefits as the “system” itself as there is a noticable difference in warmth when using all of the layers together and it’s very comfortable to wear. For the past few weeks in the cooler than usual spring temperatures here on mid Vancouver Island the First Lite layering system along with my eVent outer shell has kept me nice and warm. No complaints. 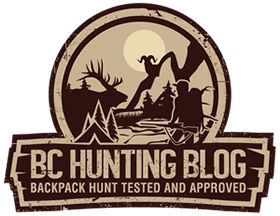 For later season fall hunts, or extreme weather hunts the First Lite layering system would be a great foundation for your layering system, topping it off with a primaloft or down vest and then a really good outershell and you’d be set! What About The Odor Control & Washing? Good Question! Regardless of whether you were wondering or not. While Merino Wool is odor resistant, it does not actually “kill” odor to my knowledge. When you are hiking, making your way up a ridge, you’re going to sweat and that sweat will stink. The Merino does a good job of not absorbing the odor, but doesn’t remove the smell completely. The more Merino layers you have on the more effective this effect becomes. As for washing the clothing it’s been through about 12 wash cycles so far without any noticable effect on the camo patterns or clothing itself. We wash in cold water, and hang the clothing to dry. 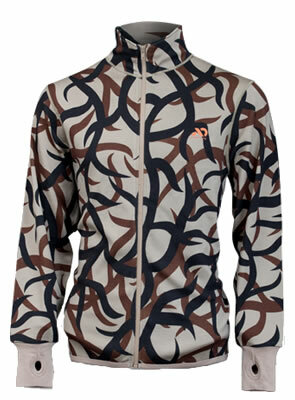 I am very happy with the First Lite Merino Wool camo clothing. It’s a renewable natural fibre, it’s comfortable against the skin, it’s much warmer than synthetics, it helps with scent control and it comes in Camo patterns. If you do your research on pricing and other Merino Wool brands I think you’ll find First Lite is competitively priced for a product line that is a little better suited for a hunter anyways. There are many choices out there when it comes to Camo clothing, but if you narrow it down to companies producing Merino Wool clothing in camo patterns for hunters then you’ll find that First Lite is definitely one of the best in it’s class and is worthy of a closer look. Where Can You Buy First Lite? Thanks, Carl, for the info on the First Lite clothing. Definitely worth taking a look for myself. I have always been a fan of merino wool but have never seen camo patterns or merino boxers before. 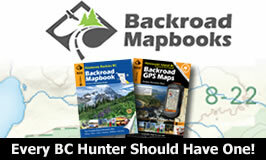 Since I am going to be in Kelowna next week, I will wander over to Grouse River and check them out. Thanks for the informative review. Hi Brian, Thanks for your comment. I agree with you that it’s not the warmest (unless you layer quite a bit). For the most part mine has held up well, with exception of the boxers which have developed some small tears in the fabric, not from a rip, but the fabric appears to be coming apart almost. The rest of my First Lite is still going strong but the ASAT camo pattern has started to fade somewhat.